Root Partnerships has a long association with the Presbyterian Ladies College – a leading girls’ school in Melbourne. Over the past nine years the school has engaged us to redevelop a number of its spaces and buildings, and in line with PLC’s vision for the future, a historic redevelopment of the Burwood campus’s facilities has transformed the College into a leading, twenty-first-century learning and experiential school. In 2008 Root Partnerships was engaged from inception to the completion of construction of the Learning Resource Centre. We were subsequently engaged in 2012 to project manage the design and construction of the Year 7 Centre, then in 2014 Root Partnerships managed a complete re-fit of the senior school general science wing. 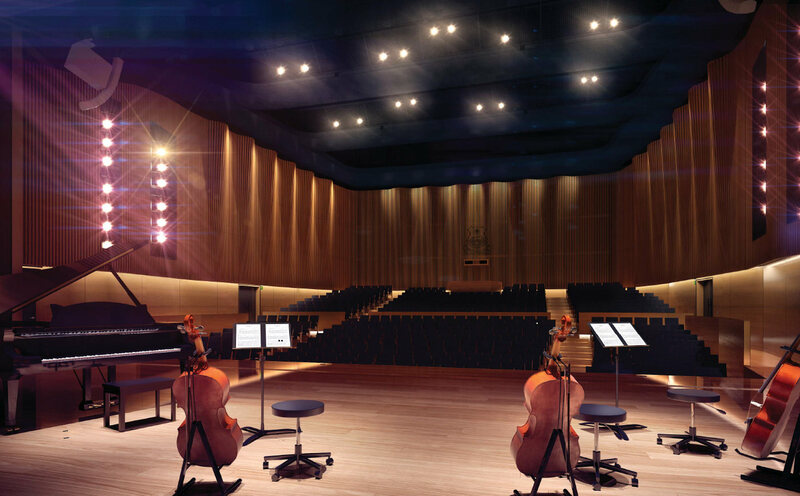 In 2014 we were invited to manage the design and construction, technical fit-out and commissioning of the Performing Arts Centre which will accommodate performance spaces combining state-of-the-art design with leading acoustic technology to revolutionise the way in which theatre and music are taught and performed at PLC. Working within the rigid timetable of the school year and corralling works to after-hours or school holidays, have at times thrown up challenges, however the long and trusted relationship Root Partnerships has with the school and its project partners has enabled the project teams to work around any constraints and deliver all projects on time.